School is in full swing here and the boys always come home wanting a snack! And, some days I love surprising them with something a little extra special! Given our love of Disney movies and characters, I thought a fun themed snack was in order! 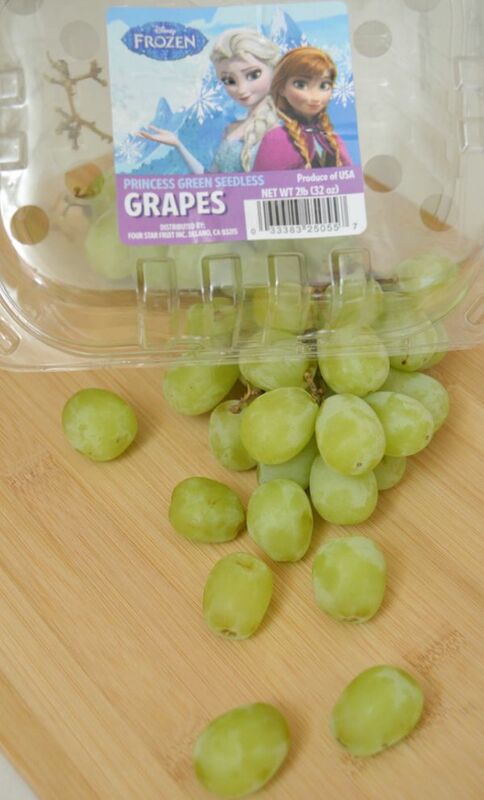 I had some cute food picks leftover from our Disney Frozen party last year and we picked up some of the new, fun Disney FROZEN branded grapes at Walmart! And what a more appropriate thing to do with FROZEN grapes than make frozen grapes?! 😉 Have you ever had frozen grapes? They are SO good! A fun & refreshing snack on hot days (and it is still terribly hot here). So, I decided we’d have some FROZEN frozen grape fun! Frozen grapes are fine all on their own. But, I decided to theme them up a bit to look a little more FROZEN inspired! All you need is Greek yogurt of your choice (I used a vanilla Greek yogurt) and some sanding sugar/sprinkles. Since I do still worry about grapes being choking hazards (especially when frozen) for my young guys, I decided to cut most of them in half and then stack them up. Using a toothpick, I just dipped the grapes in the yogurt and placed the dipped grapes on a wax paper lined cookie sheet. Then, I sprinkled blue & white sanding sugar all over the tray. Put the tray in the freezer until hardened and that’s it! 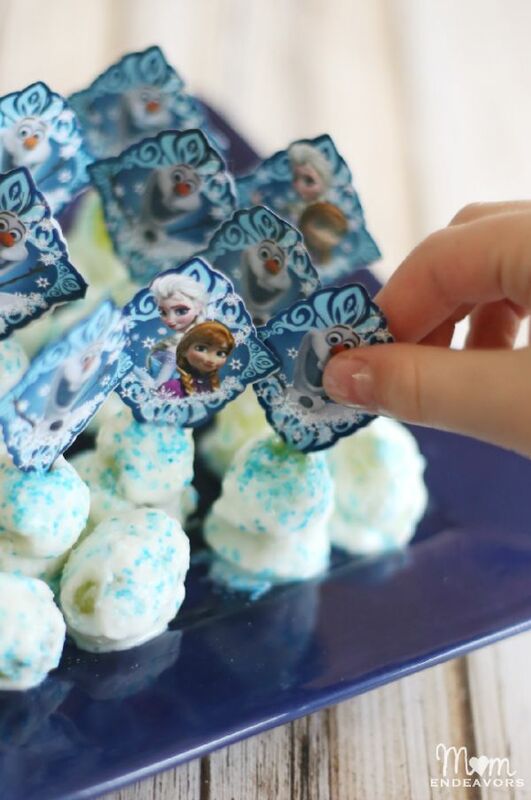 The kids loved these frozen yogurt grape bites! A tasty, refreshing, and fun snack to come home to after school for sure! I love doing special things for them like this every once and awhile for extra fun! 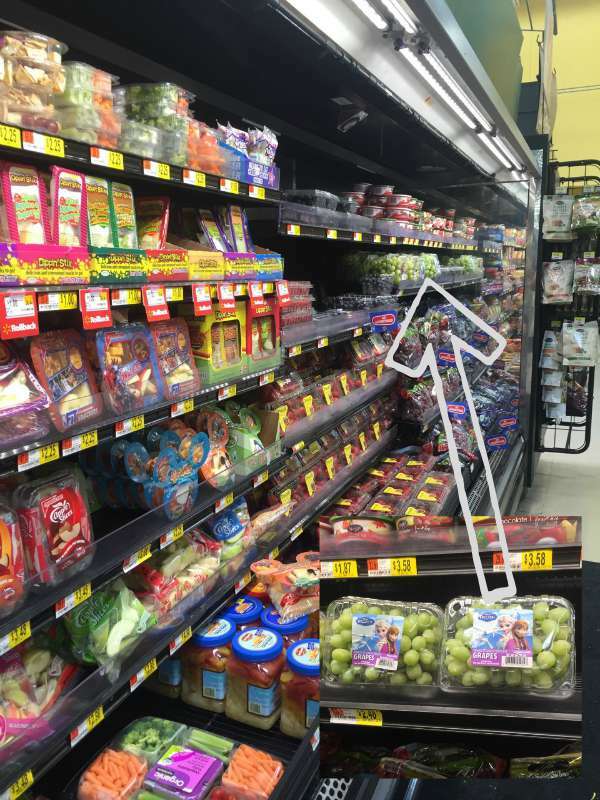 Look for the Disney FROZEN grapes at your local Walmart! They’re sure to be popular and I love that it encourages good food choices for kids! What would YOU make with the FROZEN grapes? 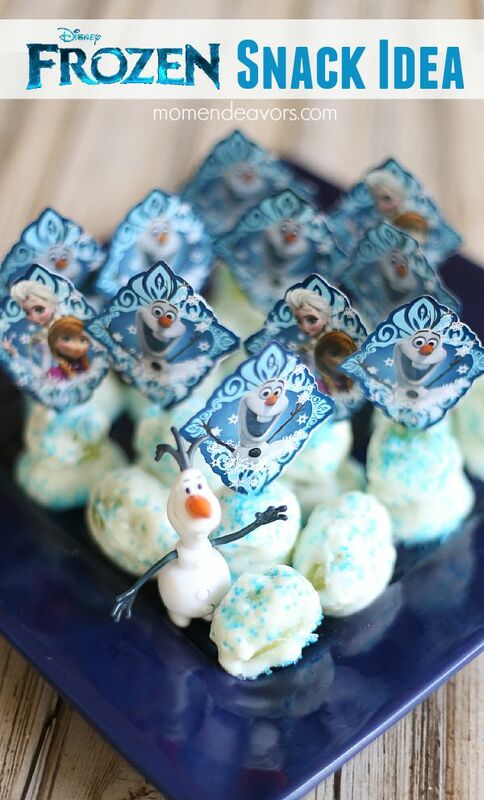 And, for even more great ideas, be sure to follow our FROZEN Ideas Pinterest Board!